The painting "Characters" by Jean Michel Basquiat was created on canvas in New York City. 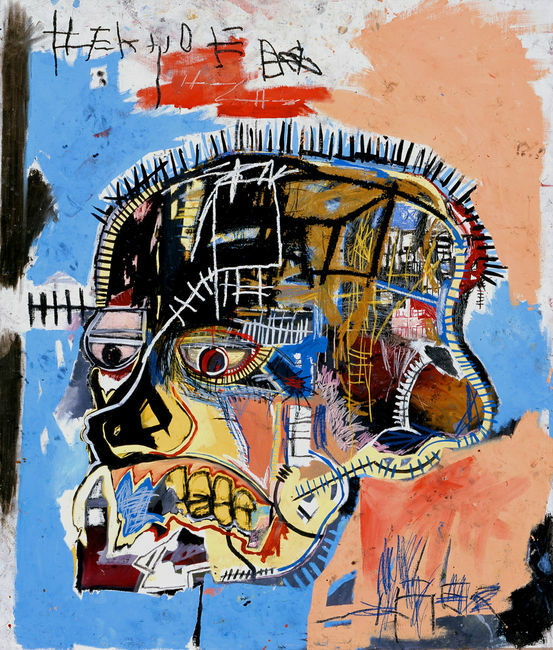 The painting was created in a graffiti style that Basquiat was famous for. I had never really looked at graffiti as being a type of art form before but I really enjoy Basquiat's work. I like his use of bright colors and how he uses random shapes and designs but still finds a way to create a unified image.